Dundee and Queen of the South drew 1-1 in the William Hill Scottish Cup 4th round at the Kilmac Stadium this afternoon and will replay in Dumfries on 29th January. Stephen Dobbie put Queens ahead midway through the first half but Jesse Curran’s equaliser seconds before the half time whistle saved the Dark Blues. The Dark Blues line up showed five changes from their last game before the break. Seny Dieng and Craig Curran made their debuts while Genserix Kusunga, Ryan Innis and Roarie Deacon all returned. They replaced Jack Hamilton Darren O’Dea, Glen Kamara, Andy Boyle and Calvin Miller – the last two having returned to their parent clubs at the end of their loans. Queen of the South’s only change was Andrew Stirling in the place of Callum Fordyce. Queens looked the sharper side in a game that got off to a low key start. It took eight minutes for a serious effort on goal, and only a fine save by Seny Dieng kept out a header by Stephen Dobbie who had found space on the edge of the six yard box. 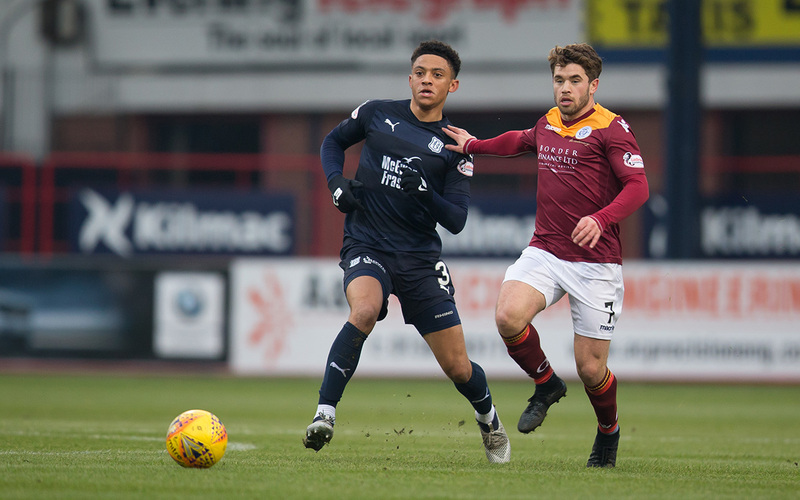 Dundee’s best early moment came when when Nathan Ralph showed lovely footwork to get away from two defenders, but Kenny Miller’s shot from the cross was blocked. The Doonhamers continued to have an edge over the Dee and deservedly took the lead after 27 minutes. Lyndon Dykes drove through the middle and set up Josh Toddd to cross. His low ball across goal was perfect and Stephen DOBBIE was never going to miss from close range. The Dark Blues spent a lot of time in the first half shuffling the ball around 30 yards from goal and rarely looking like penetrating the Queens back line. With the referee checking his watch at the end of the first half Dundee clicked and scored a goal that looked surprisingly simple after their previous struggles to open up the Doonhamers. Jesse Curran moved in from the right, exchanging passes with Paul McGowan. He beat two men on his way into the penalty area, and with a left foot shot the obvious option, CURRAN instead had enough time and space to check his run, move the ball onto his right foot and score with a low shot across Alan Martin from 16 yards. Queens paid a heavy price for fleetingly losing concentration and the Dark Blues were rather fortunate to be on level terms at half time. Andy Dales came on for his debut as a straight replacement for Roarie Deacon at half time. However, the Dee still lacked any spark in the final third and attacks petered out without troubling Queen of the South unduly. The Doonhamers were the more dangerous side and went close twice around the hour mark. Josh Todd led a break and set up Dobbie, whose fierce shot was tipped over the bar by Dieng. Only a minute later Queens passed up a great double chance. Todd ran clear, but Dieng spread himself to block. Somehow Cammy Kerr managed to divert Todd’s follow up shot wide of the goal. Andrew Nelson was the fourth player to make his debut when he came on for Craig Curran midway through the half. Within a minute he had Queens keeper Martin in trouble as they raced each other for a short backpass. The goalie got there first but smashed his clearance against Nelson and was relieved that the ball bounced wide of his goal. Twice Queens had Dundee in trouble when they sprung men clear in wide positions. Todd’s cross produced a goalmouth scramble that the Dee cleared, and Dobbie’s low ball flew across goal with no-one far enough forward to turn it in. Queen of South obviously fancied their chances of winning the tie without a replay. They chased forward enthusiastically but couldn’t find the composure to set up clear chances. On occasion the Doonhamers’ ambition left them open, but Dundee lacked the guile to take advantage. The Dee were more direct than in the first half, and were quicker to get the ball into the penalty area, but the final delivery was never quite good enough. If the Dee had managed to repeat their first half trick and sneak a goal at the death it would have been an injustice on Queen of the South who were the better side for most of the game. 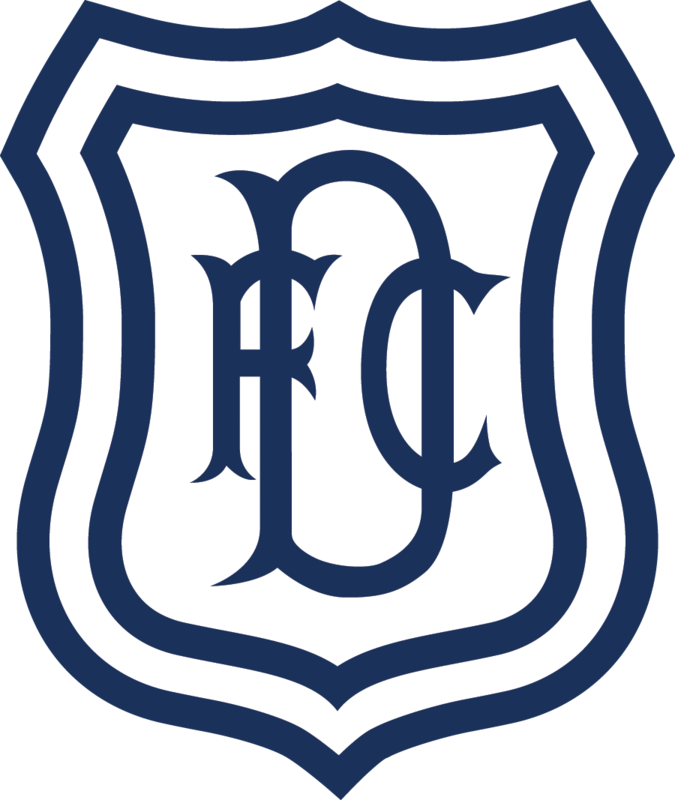 There was plenty of effort from the Dark Blues, but little creativity and Dundee will surely have to step up their game in the replay if they are going to stay in the Scottish Cup. Unused subs: Parish (gk), Källman, Jefferies, Moore, Lambert. Unused subs: Leighfield, Watson, Harvey, Irving. Referee: Kevin Clancy. Assistants: Alan Mulvanny, Mark McLean.